C.S. Lewis wrote that “Love is not affectionate feeling, but a steady wish for the loved person’s ultimate good as far as it can be obtained.” From the time I started writing romance, this has been how I’ve measured my character’s love for one another. Over the past year or so, I’ve been closely examining the relationships, romantic or otherwise, in some of my favorite TV shows, looking for love as Lewis describes it. I found it in many places, but the one that has sort of grabbed at me is the relationships between The Doctor and his companions on Doctor Who. 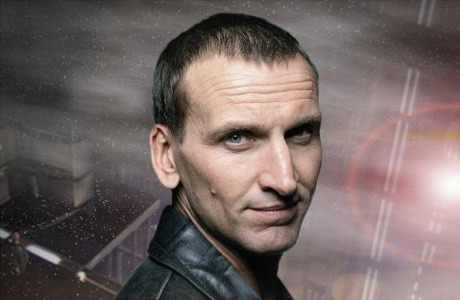 Whoever came up with the idea of a TV show about a guy who can regenerate to prevent his own death ergo along with living for a really, really long time while traveling through space and time was a genius. Now, I will start this out by saying I have not watched any of the episodes from the original run (*hangs head in shame* *wrist slap*). BUT I absolutely adore what Russell T. Davies and Steven Moffat have done with the revival. From all the reading I’ve done about the show past and present, while the adventures are really fun and exciting, the relationships the Doctor has with his “companions” have been the real heart of the show. Since I haven’t seen the older episodes, I’m going to focus on the main companions for each of the revival seasons. (WARNING: MAY CONTAIN SPOILERS FOR ANYONE WHO HAS NOT SEEN THROUGH EPISODE 4 OF SEASON 6). Anyone familiar with the show knows that Rose Tyler is as close as the Doctor has come to finding his “soul mate” or “one true love.” If not for pesky dimensional closures and actresses wanting to move on, the chemistry between the two could have carried the show on for several seasons. But I guess the cliche “all good things must come to an end” is true. Still, watching the affection and rapport between the Doctor and Rose is what I always strive to emulate in my heroes and heroines. They never have to voice their feelings. It is understood that because they exist in this whole other mental space from the rest of the universe, they are the only people that matter. Often, the Doctor’s affection for Rose keeps him from doing things he would normally do for the greater good of humanity, but in the end, he does his best. As we watch Rose grow over the course of her two brief seasons with the Doctor, we see that both she and the Doctor always, always try and act in the best interest of the other. 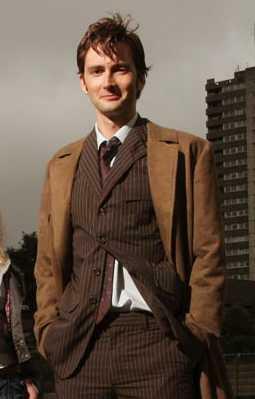 In the episode “Journey’s End”, we see the ultimate testament of the Doctor’s love for Rose. Rather than letting her stay with him, knowing full well that she would age and die, that she could never have a “normal” life if she stayed with the real him, he leaves her forever sealed in Pete’s World with a “better” (depending on your definition) version of himself that can really and truly be with her. He never ever says the word “love” to Rose (or anyone really), but every action and interaction he has with her testifies to the fact that she holds a very special place in his double-heart. Ok, I’m not going to lie. 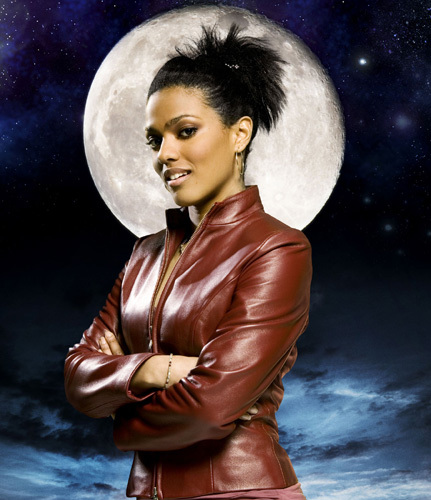 Martha is my least favorite of all the companions. She’s like that annoying girl your best guy friend chooses to date after a really rough break-up, just to prove that he can still care about someone else. Yes, she’s smarter than Rose and more self-confident, but she just never quite…fits. Still, she and the Doctor do become good friends and, like all companions, she has absolute faith in him. He has the same sort of faith in her (as we see in “The Last of the Time Lords”), but her puppy love for him makes her a bit tedious, even to him (IMHO). Still, the Doctor tries to do what is best for her, but unlike Rose, his way of thinking about Martha often resembles his way of thinking for the rest of the human race. She’s special, but not too special. In other words, she’s the character in romance novels that tries to make the hero fall in love with her (or at least settle for her), even though we all know he loves someone else. Oh, Donna. She’s one of my favorite characters in any show. Her relationship with the Doctor is the only one that doesn’t attempt to be romantic. They are quite obviously BFFs and nothing more or less. They complement each other perfectly. Seriously, the timing and chemistry between David Tennant and Catherine Tate is magical. Again, if it weren’t for that pesky biological meta-crisis, they could have traveled together and carried the show for many seasons. As we see in “Journey’s End”, the Doctor and Donna were meant to travel together. And, like with Rose, we can see the true affection that exists between the pair. Their relationship goes beyond duty or the need for company. They were just best mates, off on a grand road trip through time and space. The love of friendship is often the most powerful and Russell T. Davies was absolutely spot on in his depiction of that with these characters. I’m still not quite sure what to make of these current companions of the Doctor. It could be the changing of the guard on and off camera, but there isn’t quite the same watching the interactions between the main characters. The Doctor is the confirmed bachelor friend that drags the married couple off into various capers while deftly remaining separate. He obviously cares for Amy and eventually Rory, but I like that the new Doctor is a little wounded, as he was Post-Rose. He doesn’t want to get too close, because he knows they’ll eventually leave him. The addition of Rory has definitely complicated matters between The Doctor and his chosen companion, but complicated in an interesting way. 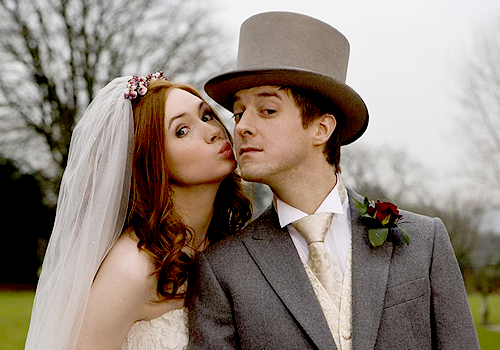 Despite his jealousy issues, we see the manifestation of the relationship Rose and The Doctor could have had if both were human played out through Rory and Amy. He lived for centuries, guarding her, all alone, just so the Doctor could revive her. If that’s not ” a steady wish”, I don’t know what is. 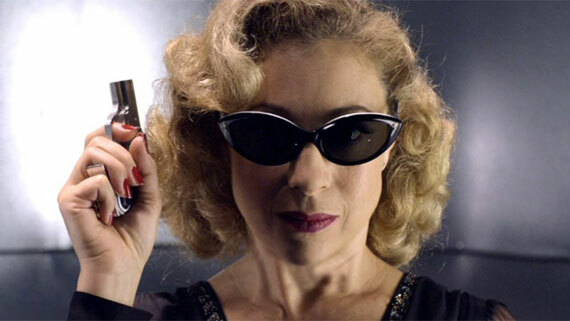 *Heavy sigh* *Foot stamp of frustration* I WANT TO KNOW WHO RIVER SONG REALLY IS! Whew. Okay, now that that is out of my system…I’m immensely intrigued by River and her relationship with the Doctor, mostly because it isn’t something I can predict. As a writer, I can generally sense where stories are going. As a romance writer, I know who belongs with whom within a few episodes. But Steven Moffat and Co. have presented me with a conundrum in the form of Professor Song. Her first is his last and his first is her last? The totally mad timeline of the relationship between River and the Doctor is one of the freshest I’ve seen in a very long time. Is it love? HOW SHOULD I KNOW? They won’t give us quite enough information to tell one way or the other. I think it is. She seems to care a great deal for him and does her best to preserve their story and he seems to have a growing affection for her, but I honestly can’t tell if there is love between these two. The recent episode “The Doctor’s Wife” reveals what most Doctor Who fans have known for a while: The TARDIS is the great love of the Doctor’s life. Having her take human form was brilliant, but even in her regular form, the TARDIS is the one constant in the lonely time-traveller’s life. She takes care of him and he of her. When necessary, she has stopped him from doing seriously stupid things. He’s saved her from being burned or blown-up on several occasions. 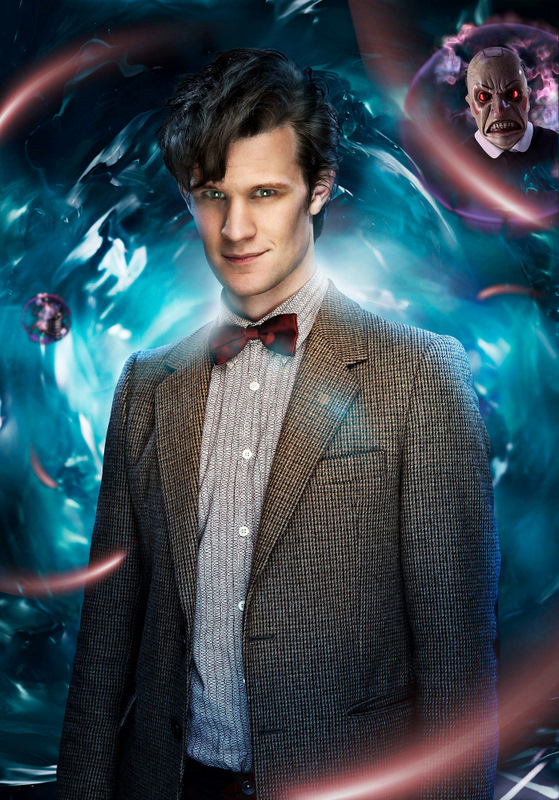 Companions have come and gone and some of the cosmetic appearances have changed on both characters, but the Doctor and his TARDIS remain essentially the same. They have the perfect symbiotic relationship. There’s is a love that will last far longer than any of the love stories recorded in romance novels because those are the stories of mortals. 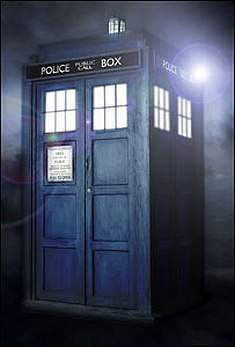 The Doctor and the TARDIS are timeless. All romances strive for the level of trust and affection that exist between these two beings from Gallifrey, but few manage to achieve it. Still, it’s a good goal. Yes, you are a geek. A major one. This is why I like you! oh… I loved this! I’ve watched Dr Who through all incarnations since Tom Baker – and adored David Tennant too… but I found Rose’s character annoying (I’m not a Billie Piper fan), mostly because I want to be his soul mate! Donna was the most fun to ‘hang out with’ and having seen David & Catherine on several talk shows (see if you can hunt down any footage of them on Graham Norton), that obviously was easy to play. 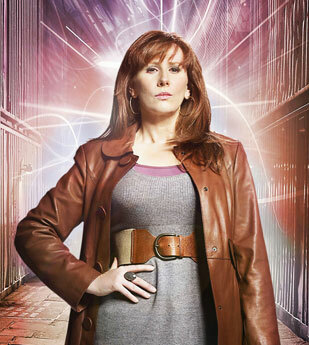 I love Dr. Who, but I haven’t seen many of the “new incarnation” yet. I intend to, so I stopped reading this post halfway through lol! Someday I’ll netflix them all and catch up. I like watching a whole “set” of episodes together that way.